No credit card required. It is free and won't affect your credit. How could we do it?. We work closely with over 100 Nation's Top Lenders. 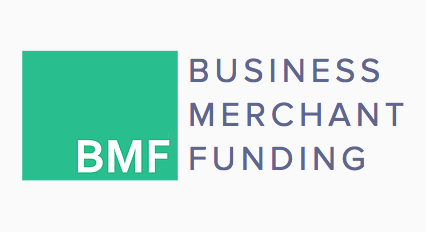 This huge range of funding options allows us help businesses of any size or credit score. The BUY RATE is a secret rate at which lenders give loans to brokers. Brokers then present business owners with loans at sell rate which is usually 10-14% higher. "Robot broker that treats you better than a human one"
You are not just a lender's commission. We want you to actually grow your business, so we grow with you. Not sure if you need a loan? Speak to one of our financial experts right here 👉. All our experts are licensed financial advisors. Because of full automation we spend 300 times less money to process a loan than an average broker, yet do it 200 times faster. That is why we can do everything 100 times cheaper. "I destroyed my credit trying to build my pizza shop in Brooklyn. I started maxing my credit cards; soon my debt became unbearable dropping my credit score to 550's. I have no access to normal loans or rates anymore, just Merchant Cash Advances through some shady lenders and brokers. Apparently my previous broker added 9 points on top of the lender’s TRUE BUY RATE; and then charged me $2k in fees. Shameless. Imagine how surprised I was when Richie Lending saved me over $14k on my 120k advance." "I needed to buy a new truck. I didn’t need much money, just about 60 thousand USD, but it had to be in cash and available as soon as possible. Leasing or financing a freight truck through a bank is two times more expensive than just buying a used one from another company. I used Richie Lending and saved over $7500 just in interest payments and fees. All for $199. I am shocked and amazed at the same time." Copyright Richie Lending. 140 West street, New York, NY 10007. Richie Lending Inc is a corporation registered in the state of Delaware. Registered agent: Harvard Business Services Inc, 16192 Coastal Highway, Lewes, Delaware 19958.